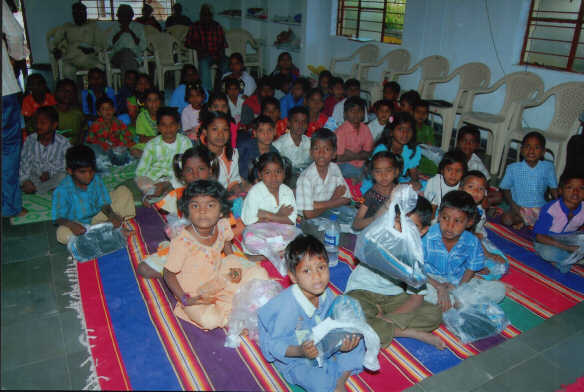 About 46 sets of clothes were distributed to underprivileged children studying in a primary school maintained by " Alambana" trust. .
"AlAMBANA" trust in Hyderabad maintains a primary school in Balaji Nagar, Kukatpally. 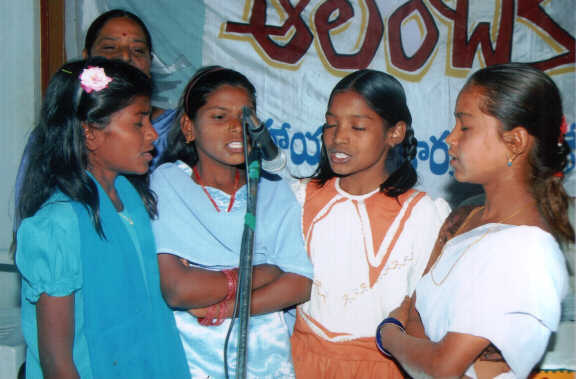 There are 46 students studying from 1st to 6th standard. All these children belong to labor colonies in and around balaji nagar. 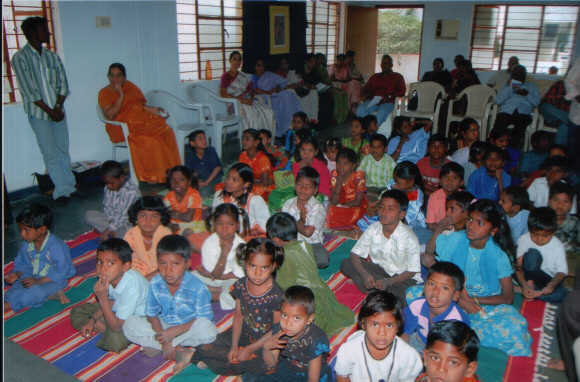 Alambana trust provides meals and refreshments to children daily. Secretary of AlAMBANA requested "Bighelp" to visit their unit and provide assistance to the children. Bighelp inspected the primary school and was imensely impressed with the trust. 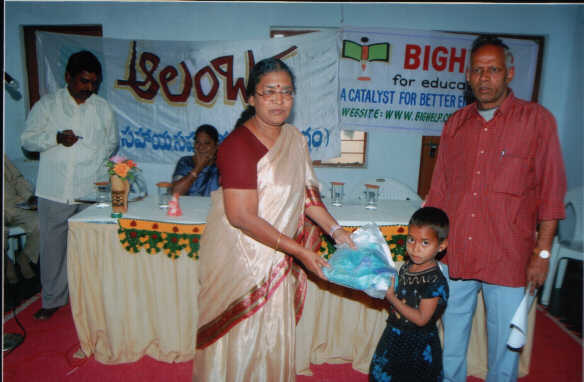 Immediately bighelp approved to provide financial aid for the clothes distribution to children. Many of poor families are struggling with the cost of education and thus limiting their future options. Bighelp is trying hard to help break this cycle of poverty by providing them educational needs and supporting their future. We would like to thank our Bighelp donors for their concerned thoughtfulness and assisting us in our journey. If you would also like to sponsor the poor children, please go to the donate page to make a donation. Clothes distribution was held on January 31st, 2006. 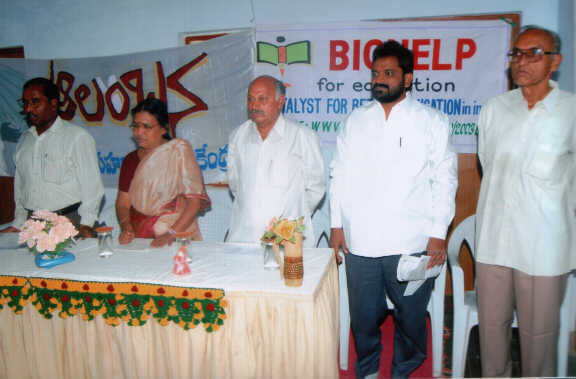 Mandal education officer attended the function as chief guest and presided by the Managing Trustee of Bighelp. 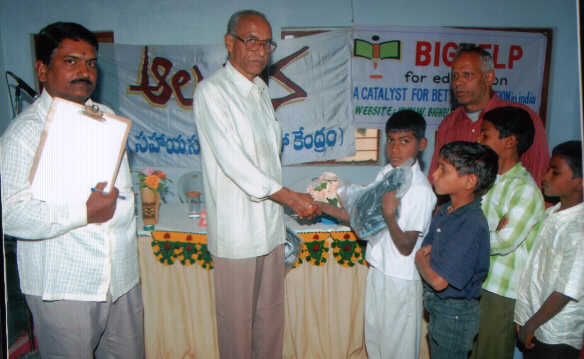 AED (A), secretary with other members of " AlAMBANA", colony welfare association president, elders of colony, teachers and students of ALANBANA and Indian citizen society members. 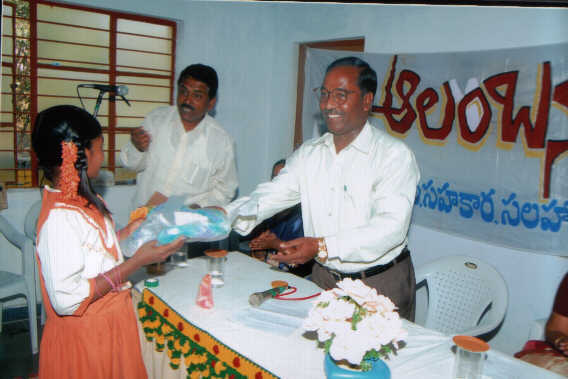 Then the clothes were distributed to the children, who were greatly delighted with them. While the distribution was going on, the members spoke and stressed the need of education to children and praised the service rendering by " AlAMBANA" unit. Members have also extended thanks to "Bighelp" organization charity of providing dresses to children of AlAMBANA.